Successful people around the world have their morning routines down to a fine art. So just how does makeup artist Toni Malt start her day? Savoir Flair gets a peek into her morning rituals, from the music that gets her up and out to her daily skincare routine. 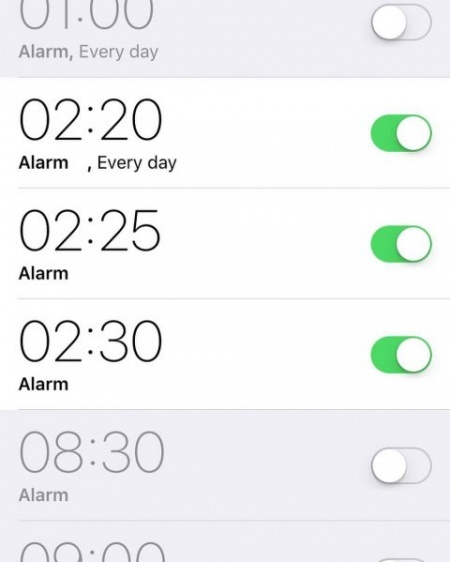 I set my alarm for anytime between 3 a.m. and 7 a.m., depending on the call time of that day’s fashion shoot. Waking up at 3 a.m. never gets easy, but you do get used to it over time! 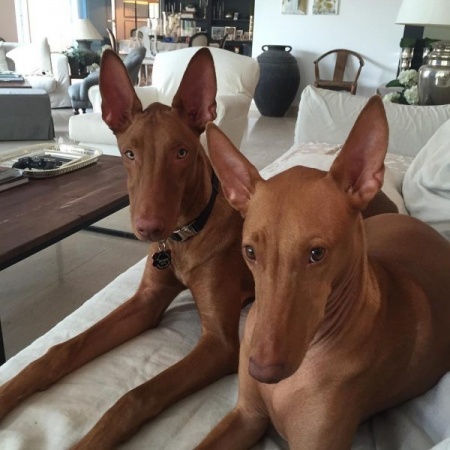 I have two big pharaoh hound dogs named Sheba and Sultan, and they wake up at the crack of dawn every day. Both of them are happy and playful dogs who can’t wait to wake up and have fun, so they act as my alarm clock on days when I’m not shooting – usually around 7 a.m., including on weekends! The first thing I do in the morning is play with them. Every single morning, we greet each other as if I’ve been away for a month. Once they’re outside in the garden playing – and waking up my poor neighbors – I have breakfast, and start checking and responding to e-mails and messages. I dissolve a Berocca and vitamin C tablet in ice-cold sparkling water every morning. It really wakes me up and prevents me from getting sick. I definitely have a sweet tooth, so I have a small espresso with lots of sugar and lots of creamer after my health drink. I left Germany over 20 years ago, but I still love a German breakfast! So, I have a boiled egg and German bun with cottage cheese, decorated with a tomato and cornichons. I wish I practiced yoga or meditation in the morning. I’ve tried several times to make it my thing, but I’ve never succeeded. If my shoot times allow, then my day usually starts at 6 a.m. with my wonderful personal trainer Emer at Train SF. I love that place, even though it seems intimidating at first because pretty much everyone there is a competing body builder! But I actually enjoy the people-watching aspect of it so much that I don’t even think about feeling uncomfortable amongst so many extreme bodies. Recently, my work has involved a lot of traveling, so it’s hard to keep up with the gym. I’m definitely a morning person. I’m most productive in the morning when things are still quiet. 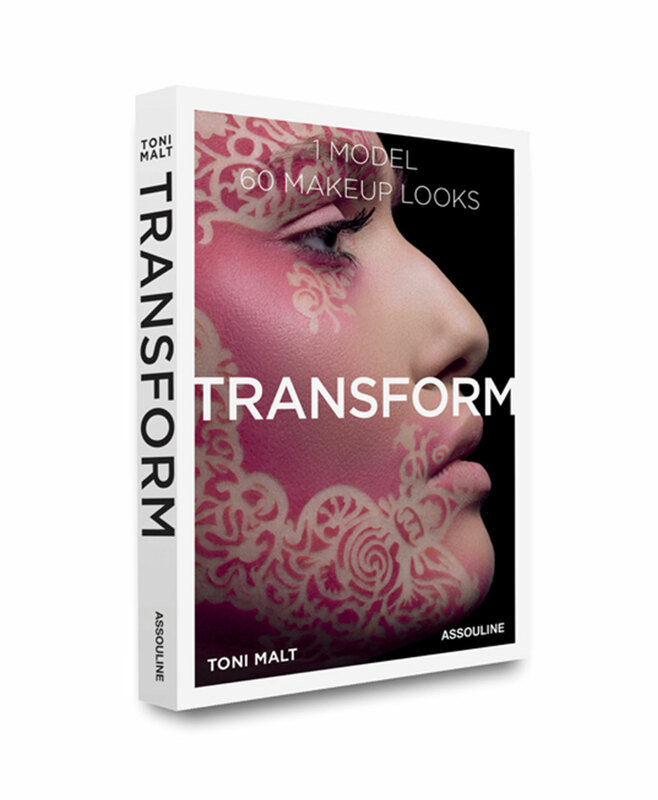 Since the news about my book Transform has been made public by Assouline, I’ve been getting so many lovely messages from people who have placed pre-orders on Amazon. So, first thing in the morning, I read through my Instagram messages and get back to all these amazing people thanking them for their support. I love that I can actually speak to people buying the book, and their excitement over the orders makes me so happy. I hope everyone will love the book and find it helpful and inspiring. I also check my WhatsApp quickly, just to check that none of the day’s plans have changed. After that, I usually don’t check my phone again until I’ve finished the first look of the model for that day’s shoot. I listen to music 24 hours a day. At the moment, it’s a lot of jazz and Damien Rice. Now that my book is ready for release and having just founded the Toni Malt Academy, there is so much going on, so I just want to create a calm environment to help me think clearly about the next steps for both whenever I can. I just bought myself a baby grand piano as I was classically trained as a child, but I haven’t played in over a decade! When I was on a shoot recently, one of the props was a piano and I just couldn’t stop playing. I went the next day and bought that exact same one. I remember not enjoying piano lessons as a child – I just wanted to play outside with my friends – but I’m now so thankful that my parents insisted. Playing allows me to completely forget any stress for a couple of moments. My friend also recently introduced me Radiooooo, which I am obsessed with. You can choose any country and decade, and it plays authentic music from that era – it’s absolutely incredible. My favorite at the moment is music from the 60s originating in Brazil. I’m all about organic skincare products, so at the moment, I am trying out a bunch of wonderful things from Caudalie. I love that all its products are derived from grapes. I use the ‘Vinoperfect Radiance Serum’ for radiant skin, then the ‘Premier Cru The Cream’ and ‘Premier Cru The Eye Cream’, followed by the ‘Beauty Elixir’ both in the morning and evening. Caudalie’s products smell so delicious – like a spa! I have also recently started exfoliating every second day with the Zein Obagi ‘Vitascrub’. 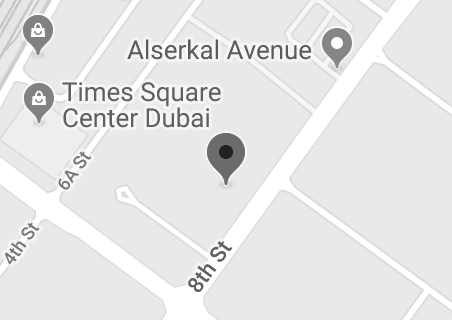 I feel like that’s been the key to avoiding any breakouts in Dubai’s harsh environment. I don’t really wear makeup, I never have. But I do use all sorts of different foundations, just to try out new products on the market. Right now, I’m using Make Up For Ever’s ‘HD Foundation’, an old favorite of mine, followed by Benefit’s ‘Gimme Brow’ to brush up my brows. That’s pretty much it, which is a little embarrassing considering I am a makeup artist! But I have never felt that makeup suits me. I do love having my eyelashes curled and tinted once a month at Browz, and that has sort of become an addiction because I have slightly droopy eyes – the procedure lifts the corners and reduces the droop. It also spares me from having to wear mascara! I always have a bath as soon as I come home from a shoot, and I add Pinimenthol to it. It’s made up of a deliciously smelling blend of eucalyptus, menthol, and camphor essential oils. As a child, I was constantly sick with sinus infections, and my mother used to add it to the bath to help me recover quicker and sleep better – I still use it today just to feel like I’m home. I was on a shoot in Sri Lanka last year and discovered Spa Ceylon products, and I’ve since been in love with its ‘Sleep Therapy Bath & Shower Gel’. I wash my hair at night, too, every other day before I go to bed. I like the way my hair dries naturally, so most of the time, I’m lucky and wake up with beachy waves. Some of my close friends are ambassadors of Balmain Paris Hair Couture, so every time they come to Dubai, they bring me Balmain hair products as gifts. My favorites are the ‘Moisturizing Shampoo’ and ‘Moisturizing Conditioner’. After I wash my hair, I simply brush it straight, rough it up with my fingers, and let it dry naturally overnight. In the mornings, I add a little Ouai ‘Texturing Hair Spray’ all over to make it look more lived in and cool. On days when I don’t wash my hair, I use a little Balmain ‘Dry Shampoo’ on the roots to freshen it up. My days are so random. One day I’m shooting in the desert, the next in the mountains, and then in a studio. Call times can vary from 4 a.m. to 9 a.m. Every day is different and filled with new, exciting experiences and vistas, and I love it that way. I spend a lot of time researching for shoots. This involves reading up on culture, art, history, photography, runway shows, and models. The day before a shoot, I check my kit and replenish whatever is missing, making sure I have everything needed for the following day. I pack everything in the car the night before, so that I don’t waste time in the morning. If I have a really early call time, I pull out what I’m going to wear so that I don’t need to think about it at three in the morning, when it’s too early to even remember my own name! Success at IMATS NY when Toni Malt hits the stage for her Masterclass. Learn how to transform the same model into 60 editorial characters. VOGUE Arabia's special on makeup artist Toni Malt's most iconic looks. 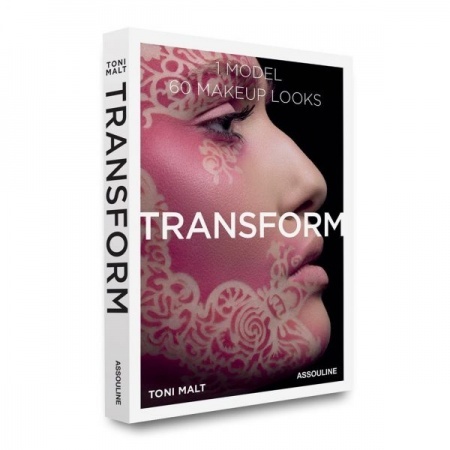 ‍Take a peak into the world of our Freelance Makeup Artist Mentors and graduates, receive updates on our course openings, and be the first to know about giveaways!